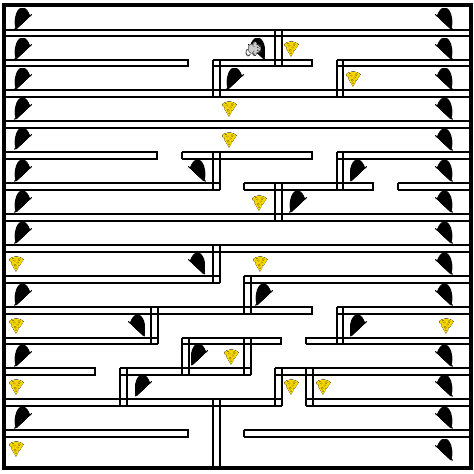 In the interactive maze game #25, the mouse speeds through teleporting mouse holes. 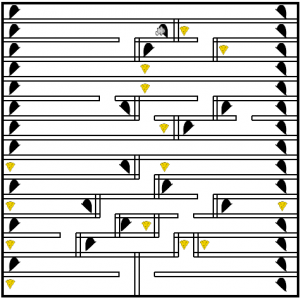 Try to find the paths to the cheese pieces by determining which holes lead the way. The combinations can get challenging. Move the mouse using the keyboard direction keys, or tap/slide/hold on a touchscreen. Play this game on mazecheese.com at Maze 25.